Oscar bait doesn't get more textbook than this. 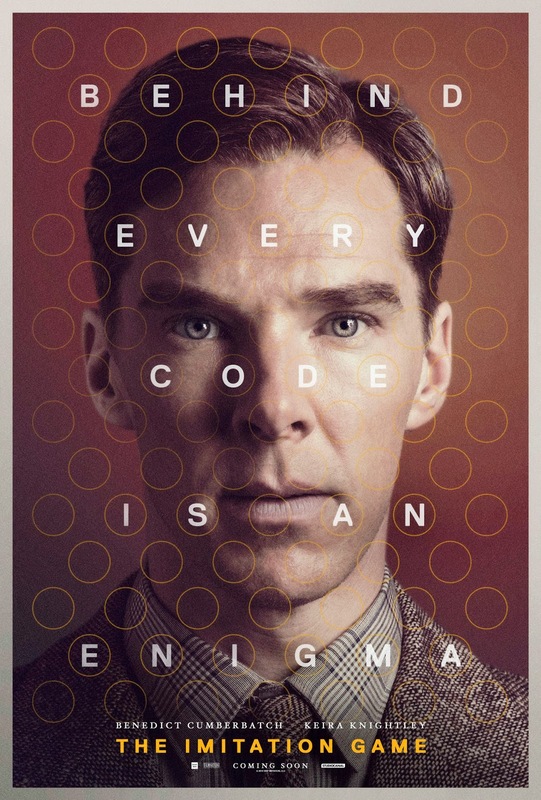 Those of us who knew the name Alan Turing before The Imitation Game also knew that a film based on his life was inevitable. His story of frustrated genius is tailor-made for the dramatic bio-pic, and audiences love a complicated prodigy who walks a narrow path just off the autistic spectrum. It works. And why shouldn't it? If told correctly, Turing's adventures in cryptography, computer architecture, and biology would make one hell of a compelling tale. Unfortunately, The Imitation Game isn't interested in telling Turing's story as much as it is with appearing to be "The Alan Turing Story." The film is Oscar bait, plain and simple: Rather than cover Turing's life in its entirety, we get a romantic WWII piece. Turing is a socially awkward (but not too socially awkward) underdog hero, so there's your Best Actor nod. Its cast is obvious and befitting type, British-but-not-too-British, so American audiences will accept it. It's production designed to death. It's expertly shot and scored. Oh, and it sports an early winter release date, which means it's fresh on everyone's mind in February. This Oscar season, The Imitation Game is the smart choice. The right choice. The trite, boring, predictable choice. The most frustrating thing about The Imitation Game is that it bails on nearly every compelling aspect of its story before we can fully invest. It's safe. It manages to operate on the assumption of drama rather than construct any itself. Consider the film's framing device (the investigation leading to Turing's conviction for indecency and subsequent suicide). It sounds profound, but it carries no emotional weight because Turing never risks anything by confessing his homosexuality. That information never jeopardizes his narrative goals. It simply provides a tragic ending and the illusion that the film is about an important social issue. Consider also the Unreasonable Authority Figure played by Charles Dance: He hates Turing because he once emasculated him and his research is costing too much money. But the narrative imperative of Turing's goal is absolutely never in doubt, stripping Dance's actions of any logical motivation. There's no ticking clock or real reason to lose faith in Turing's methods. He has no character deficiencies for his rival to exploit. It's not as if Dance's character has an alternative plan set up and is waiting to implement it. Again, it feels like drama on the surface, but it isn't. Finally, consider Turing's machine itself. How does it work? Why does it work? What about Turing's genius makes it so special? Why might Turing's hubris cause it to fail? The film doesn't trust us enough to let us in on that, and so none of those scenes carry any dramatic heft. There are nothing but examples of this problem throughout the film. The good? Benedict Cumberbatch is great. Really, he is. But then again, he has no excuse not to be. He could do this job in his sleep. Though his Turing is a bit more nuanced than his role on Sherlock or his Khan in Star Trek Into Darkness, Mr. Cumberbatch desperately needs to branch out. Awarding him yet again for this character will doom him to repetitive and frustrating typecasting. Take a chance on something else, Ben. The Imitation Game is just fine, in every sense. It's harmless. Sterile. You've seen it before and you'll see it again. Add it to your Oscar bingo sheet and call it a night.